When uploading your website's files to your StudioCoast account, whether it be by FTP or via the File Manager, ensure you are uploading to the correct location as per our directory structure. If you are using your StudioCoast account for the first time, you should already see this present. 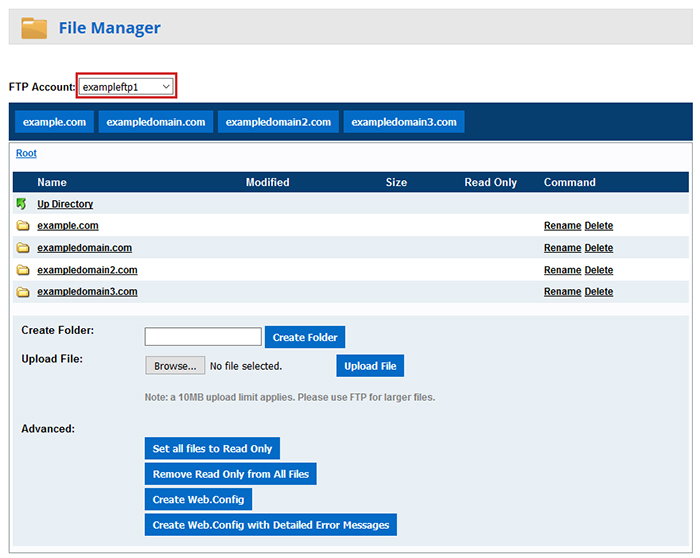 Log into hostControl and select the "File Manager" option from the "Files" section. You can choose the FTP account from the drop down menu (if you have more than 1). 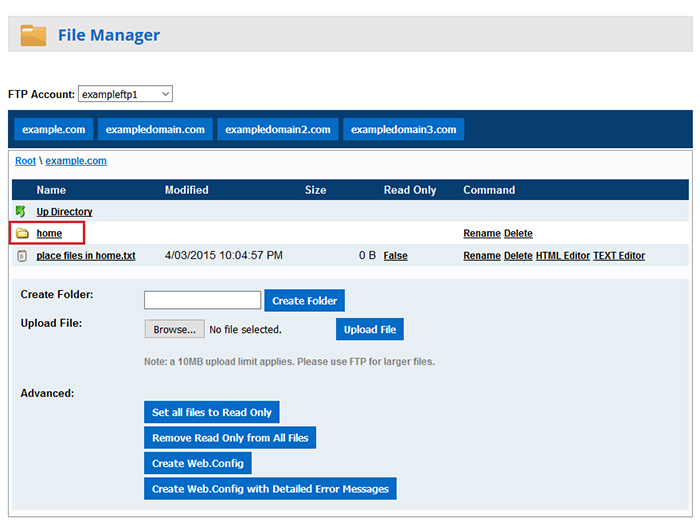 Underneath you will see a list of hosted domains such as the one selected during sign up. 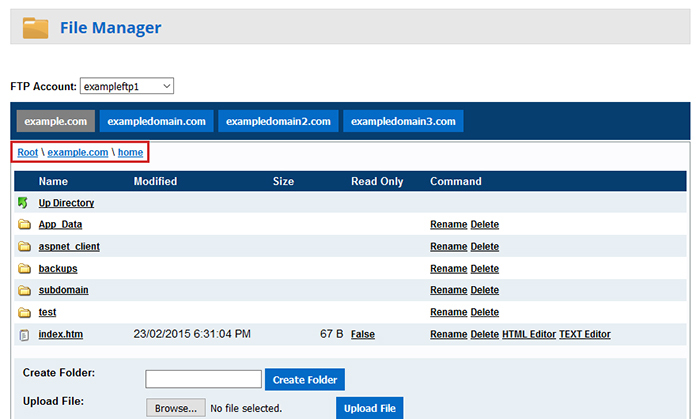 Select one of these domain name folders. From within this domain, you will see a "home" folder. You must upload your files into this location (within the "home" folder). When connecting via FTP, always ensure you go into your domain's folder and it's home folder before uploading files (files uploaded into the FTP's root will not display).